Yanni is a legendary performer & composer with an online audience of over 4 million fans, who has performed in over 30 countries on 5 continents at world famous venues including Acropolis of Athens, Great Pyramids of Egypt, the Taj Mahal, The Forbidden City (Beijing) and the Royal Albert Hall. 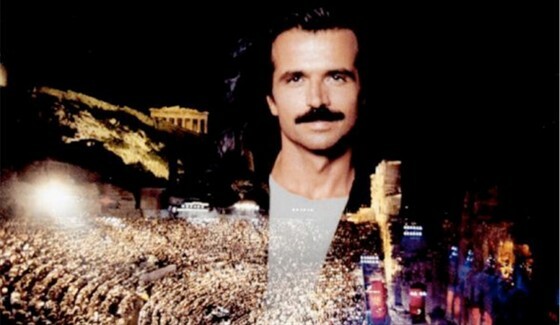 Originally captured at the Herodes Atticus Theatre in his native Greece, YANNI LIVE AT THE ACROPOLIS relives Yanni's astounding 1994 performance with his own six-piece band and the Royal Philharmonic Orchestra – now digitally remastered in full HD and available for the first time on the big screen.? ?In addition to the concert film, there will be a special introduction by Yanni exclusively shot for the theatrical-only screenings.